It’s the second most massive globular known (the most massive is Omega Centauri), with well over a million times the mass of the Sun. That’s a lot. It’s very far away, too, at a distance of about 90,000 light years, making it one of the more distant globulars known. It’s big – 300 light years across, and also incredibly luminous, shining with over 800,000 times the Sun’s light. Only its vast distance dims that glory to us. Also among its oddities is that it harbors what’s called an intermediate mass black hole, one that’s far larger than the kind you get when a star explodes (which have usually up to a few dozen times the Sun’s mass), but still far less than the huge ones found in the centers of galaxies like ours (which are millions or billions of times the Sun’s mass). M54’s black hole has something like 9400 times the Sun’s mass, which is still substantial! These kinds of black holes were only discovered a few years ago for the first time, and how they form is still something of a mystery. But I haven’t even mentioned the weirdest thing: M54 may be part of another galaxy! It actually sits right at the center of a dwarf galaxy called the Sagittarius Dwarf Elliptical Galaxy, a small galaxy currently being torn apart and assimilated by the Milky Way. That’s right: we’re eating it. It’s likely that it formed in that galaxy and has been co-opted by the Milky Way. 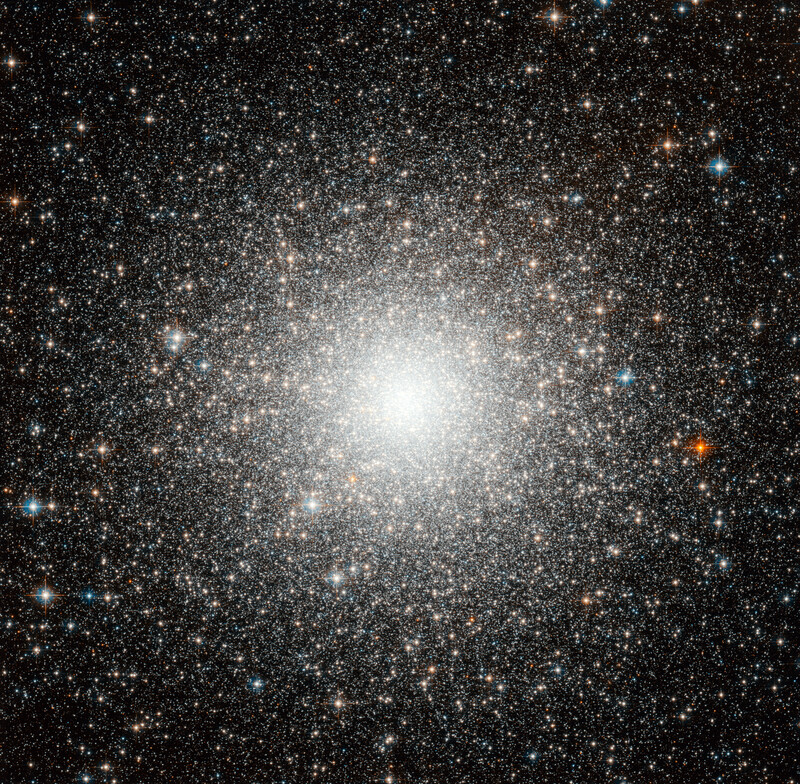 Since M 54 was discovered by Charles Messier in 1778, this makes it the first extragalactic globular cluster ever seen!